The Emakhosini-Opathe heritage Park is located in Northern KZN and is home to uMgungundlovu, the site of the Zulu King Dingane’s royal capital. Dingane rose to power after murdering his half-brother, King Shaka. Whilst initially reassuring his people that he was a man of peace, he soon became just as paranoid and brutal as Shaka, murdering anyone whose loyalties were in question. He decided to build his grand royal kraal in the Emakhosini Valley. uMgungundlovu was established in 1829. 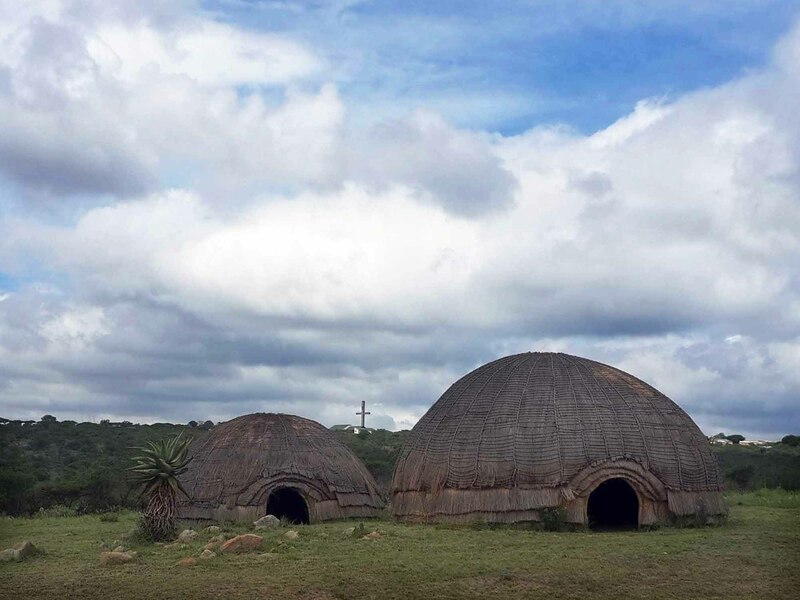 It was oval in shape, and consisted of about 1500 traditional grass huts (umuzi). 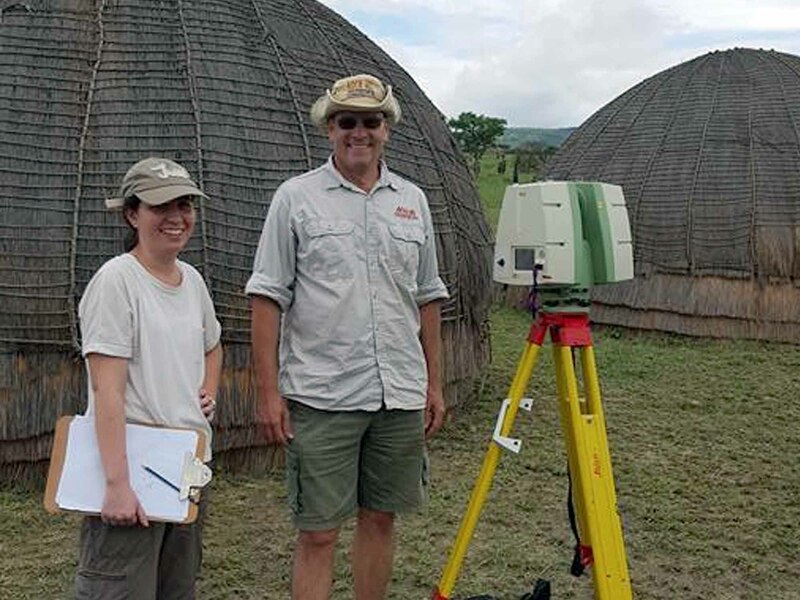 Though the original capital was burnt to the ground, archaeologists are raising it from the ashes and reconstructed huts show what it was like in its prime. uMgungunglovu is well-known for the brutal killing of Voortrekker leader Piet Retief and his men, a significant and controversial chapter in the history of the country. In November 1837 Dingane met with Piet Retief, leader of the Voortrekkers (early Dutch settlers). In return for their recovering some stolen cattle, Dingane signed a deed of cession of lands to the Voortrekkers. After two days of feasting, Retief was asked to report with his men and servants to the parade ground so that the king could wish them farewell. As a mark of respect they were asked to leave their guns outside. The Boers, seated on the ground were surrounded by a large group of dancers that performed a long dance, at one point Dingane stopped, raised his arm to absolute silence and shouted again and again ‘Bulalani abathagathi!’ – Kill the wizards! The men were totally overpowered and dragged away to a hill called kwaMatiwane where Retief and his men were brutally murdered. In a further act of war, Dingane ordered his army also to seek and kill the group of Voortrekkers under Andries Pretorius. The Zulu impis attacked the Voortrekker encampment, but they were crushingly defeated in the ensuing Battle of Blood River. An estimated 3,000 Zulus were killed, while three Voortrekkers were slightly wounded. uMgungundlovu was finally burnt down on the order of Dingane soon after the Battle of Blood River. 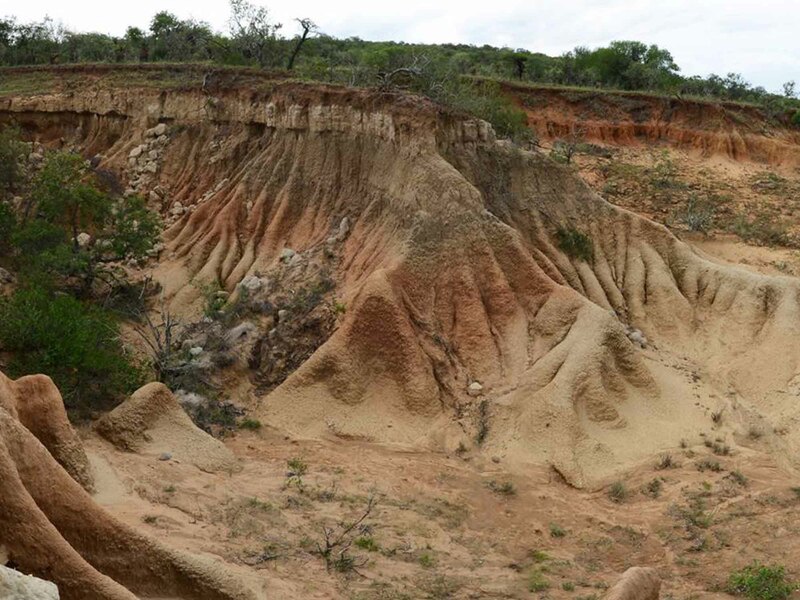 Not far from uMgungundlovu is an interesting paleosol site. Paleosols (from the Greek word palaeo, meaning old) is fossilised soil. Most soils are old and over time have probably experienced significant environmental changes. In some areas, evidence of these changes has been preserved in the ground by associated soil forming processes. 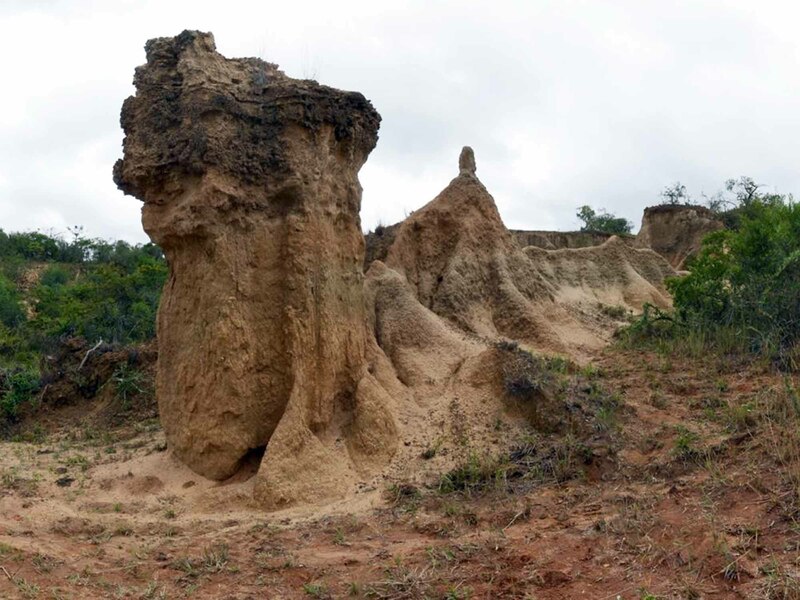 It can be recognised by the identification of certain characteristics including surface patterns, soil profile structure, soil horizons and microscopic detail such as the degree of reddening of mineral surfaces.